Do You Want “Do Not Resuscitate” (DNR) on Your Medical Record? 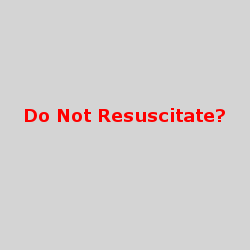 Do you want to be “do not resuscitate?” Do you want to be DNR? If you are admitted to the hospital, they may talk to you about advanced directives, a living will, or a durable power of attorney for healthcare. These things vary from state to state. One of the things you may have to figure out is whether you want a "do not resuscitate" (DNR) order on your chart or not. What is the evidence-based medicine for survival after CPR in the hospital? We need to know the Treatment Score. For patients who undergo CPR and resuscitation in the hospital, do they survive 1% of the time or 100% of the time? Do you have any idea? In order for patients to figure DNR out, they need to know the Treatment Scores for surviving a “code blue.” Patients need the most information possible presented in the most understandable way possible. Let’s look at three scenarios. Let’s look at cardiac arrest in the hospital at a level I trauma center and look at survival to discharge for all the patients. Second let’s look at cardiac arrest in the hospital with a Dartmouth Score of 7 or lower. Third, let’s look at cardiac in the hospital with a Dartmouth Score of 9 or higher. The Dartmouth Score is a clinical prediction rule. The Dartmouth Score takes into account the presence or absence of the following things: age, chest pain, dementia, respiratory insufficiency, stroke, hypotension, abnormal oxygenation, abnormal bicarbonate levels, coma, and cancer. The lower the Dartmouth Score is the better your overall health. Our three diagnoses are in the graphic below. The Treatment Score for surviving to hospital discharge for all patients is 25.7, which is on a 100-point scale, so it is the same as 25.7%. I wasn’t sure what the Treatment Score would be when I started this project: it's nice to see some quantification. So, about one fourth of the patients survive cardiac arrest, CPR, and resuscitation to be discharged from the hospital. The unknown is how good of health they are in when they are discharged. Let’s look at the Treatment Score Calculator™ as a graphic below. The main statistic is survival to hospital discharge, which goes on the left. The side effects and side benefits go on the right. Unfortunately, I could not find usable data for the side effects and side benefits of undergoing CPR + resuscitation in the hospital. The big question is, when such patients are discharged from the hospital are they “vegetables?” Or are they neurologically intact? Or are they somewhere in between. Are they better off health-wise than before going into the hospital? So, because of missing data, I consider the Treatment Score of 25.7 to be more of a gross number than the net number we usually try to produce. Let’s look at patients with a Dartmouth Score of 7 or lower. The lower Dartmouth Score means that these patients are in better health. The diagnosis is in the graphic below. The Treatment Score in this situation = 35. That's much higher! That means 35% of these patients survive to hospital discharge. Again, however the question is what shape are these patients in? Are they impaired? Are they neurologically intact? Or are they somewhere in between? Could they be even healthier than before hospitalization? The Treatment Score calculator for this situation is below. Now let’s look at how the Treatment Score changes when patients have a Dartmouth Score of 9 or higher. These are a sicker group of patients and that’s why they have a higher Dartmouth Score. The diagnosis in this situation looks like the graphic below. The Treatment Score in this situation = 12. That’s 12% survival to discharge from the hospital. Again, the problem is we don’t know their status at discharge. Are they better off or worse off than before they went in the hospital? The Treatment Score Calculator™ for this situation is below. Once again, we do not have good enough information on the side effects and side benefits of treatment (if there are any). We don’t know enough about their neurological status and we don’t know enough about their overall health. Is their health better at discharge or worse at discharge? In the future, Treatment Scores are going to be personalized to you as much as possible. We are also going to explain to you the missing data. Intravitreal injections for Age related macular degeneration: what's the score? 1.75 million people in the US have exudative age related macular degeneration. For the past 10 years these patients have been going to their eye doctor every month for an injection into the eye. It must be a worthwhile treatment to keep people coming back for an injection into their eye. It got me thinking about what the true evidence is behind these treatments. The first step to creating a Treatment Score™ was to identify the diagnosis. I decided to focus in on exudative age related macular degeneration. A quick search on PubMed identified the most common and reliable outcome measure, the National Eye Institute Visual Function Questionnaire - 25. This questionnaire is aimed to identify the true functional vision and changes in function of patients with a treatment. The hope is that it is a bit more practical method to assess treatments to see an improvement in patients' lives. Once the diagnosis and outcome were identified, I picked the treatments. There are three anti-VEGF molecules used for AMD. Lucentis is a very common VEGF inhibtior with a good deal of evidence in the literature, therefore, I picked Lucentis as the treatment. I also identified the alternative treatment, photodynamic therapy, as an alternative treatment. Now that the diagnosis, treatments, and outcomes have been identified, I am able to start searching the literature and building the Star Blocks™. I created two Star Blocks™ for Lucentis, one for the ANCHOR trial and another for the MARINA trial. These trials each enrolled more than 400 patients and were well structured. With these Star Blocks™ entered, I was able to get a Treatment Score™ for Lucentis in exudative AMD. Lastly, we have to account for treatment burden and the possible side effects of intravitreal injections. There is a monthly or an as needed approach to intravitreal injections and a large randomized controlled trial showed that both approaches are efficacious with a small benefit from monthly injections. Given that patients must come at least every 6-8 weeks, and likely monthly, to get the visual improvement, we included treatment burden in the secondary statistics as a negative to the treatment. The dreaded complication of intravitreal injections is endophthalmitis and severe ocular inflammation. In the largest retrospective trial I could find, the rate was about 0.85/1000 injections. While a rare complication, we included it in the secondary statistics because of the gravity of the side effect. The problem is that doctors don’t understand treatments and therefore patients don’t understand treatments. A study called, “Do clinicians understand the size of treatment effects? A randomized survey across 8 countries” proves that physicians do not understand treatments. In that study of 531 physicians at teaching institutions, 60 - 80% could not correctly identify treatment effects. In other words, the majority of physicians do not understand treatments. Why would they? Useless and complex statistics are often reported in studies. The statistic most important to the patient is almost never put in a medical paper. We have created the Treatment Score Calculator™, which allows the physician and patient to see the main statistic and the secondary statistics. This enables the patient and physician to discuss the treatment along with the side effects so that they can, together, do true shared decision-making. It is vitally important that the patient understands the potential benefit of a treatment, and it’s also vitally important that the patient can have input regarding the side effects of a treatment. For example, I have seen urinary incontinence happen after surgery for BPH in men. One man I saw apparently went insane after becoming incontinent and went from being a working man with a family to being homeless and dripping urine as he walked down the hospital hallway for his clinic visit. I have seen patients with half-paralyzed faces after neurosurgery. Patients need to be able to “weigh” the importance of these side effects to them, as opposed to having the “importance” be determined by some anonymous third party. The patient has to live with the side effect forever, the 3rd party only has to write their opinion about the side effect. Those are two different worlds. The days of the patient being clueless are supposed to be over. When I went to medical school that was called “paternalistic medicine.” It was supposed to be replaced by “informed consent” and evidence-based medicine. Treatment Scores solve many of the biggest problems in healthcare. Let’s make a list of the things that Treatment Scores can do for us and discuss them. A lot of money is spent on treatments that don’t work, or are no better than a placebo. Why? Because patients are not given enough information about treatments. Treatment Scores fix this problem. Imagine being offered a car, but never being told if it’s a Roll Royce, Chevrolet, or Edsel. That is basically what happens with treatments today. For example, Cochrane Systematic Reviews, frequently used by physicians, basically only tell us that the treatment probably works, probably doesn’t work, or says we don’t have enough information to tell. We must do better than three measly classifications. We need all the specifications! When the Ebola outbreak occurred in Africa a treatment was promoted by a physician that had zero clinical evidence behind it, but many Africans did not understand that, because there were no Treatment Scores. Simply knowing what the evidence-based medicine behind treatments is as Treatment Scores will make more people select more scientifically proven treatments. We will suddenly save the entire system money by reducing fraud, waste, and abuse from poor quality treatments, hype, and unjustified marketing, and will increase the use of high quality treatments. Saving 1% in the 7 trillion-dollar healthcare industry will save 70 billion dollars. The bottom line is that Treatment Scores will help distribute more healthcare to more people at lower cost. And we can do much more to lower costs with Treatment Scores as you will see later. It can take an hour to read one systematic review of the medical literature, check the methods, and do your own math to be sure the authors are correct. Who has that kind of time? One study, “Evidence based medicine: a movement in crisis?” found that for one day’s worth of admissions from the Emergency Department the admitting physician might need to read 3,679 pages of national guidelines, which would take 122 hours. Why don’t we just look up the Treatment Scores? It would take about 30 seconds. Patients want more power. There are patient empowerment movements. There are patient advocacy movements. There are patient mentoring movements. There are non-profit organizations all over the world trying to help patients. 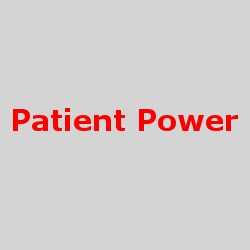 The patient should be the most powerful person in healthcare. It is the patient’s life that is at stake. It is the patient’s health that is on the line. I called a cancer non-profit for a friend and asked about the treatments for the cancer they were advocating for, and they had no clue. Treatment Scores will help nonprofits help their patients. What makes patients more powerful? Information! The more information that the patients have the more powerful they become. When it comes to highly complex and highly technical medical information, the more understandable the information, the more powerful patients become. In economics, you are taught that you want “product transparency” to be an empowered consumer. Product transparency in economics translates to “treatment transparency” in healthcare. We have already established that physicians do not understand treatments. We have also established that it is not the physicians’ fault. They have never had the tools they needed until we invented the Treatment Score Analyzer™. The mathematical problem of understanding a treatment is astronomically difficult. One diagnosis may have 10 treatments. Each treatment may have 10 vital statistics. Each of those statistics may come from 10 different references. Each of those references may contain 10 different variables. That’s 10,000 pieces of information that must be organized and processed. And to be honest, there is much more to the mathematical problem. The physician is the agent of informed consent in medicine. It’s their job to explain treatments to patients. However, when physicians don’t have the tools to understand treatments, patients don’t understand treatments either. The genius Albert Einstein said this: "If you can't explain it simply, you don't understand it well enough." We would say if you can't give the Treatment Score for every treatment, you don't understand medical treatments well enough. Former Apple CEO Steve Jobs said this: "You've got to start with the customer experience and work back toward the technology - not the other way around." That’s why the front end of the Treatment Score system is so simple. You figure out a treatment and its Treatment Score. The Treatment Scores can be more generally classified into grades A, B, C, D, and E. Each grade stands for 20 points on a hundred-point scale. Grade F is for anything negative or harmful. Evidence-based medicine right now is like the early days of the computer. In the early days of the computer, you had to understand machine language programming to use a computer. Then Xerox, Apple, and Windows came along and put a graphical user interface over machine language, and suddenly, everyone could use a computer. What we have done with our Treatment Score Analyzer™, is put a graphical user interface over the evidence-based medicine process. Soon, everyone will be able to do evidence-based medicine. Right now, evidence-based medicine is over 26 million medical studies stored inside a deep, dark underground cave. It’s difficult to get down into the cave. Once inside the cave, it’s hard to find anything. Once you find something you need a light. Once you look at a study it’s written in difficult technical language using incomprehensible statistics. Every once in a while, perhaps someone like you, goes down into the cave and shines a flashlight around. You read a few important studies, and you come out and explain the evidence-based medicine to a patient. Then the cave goes completely dark again. What we do with our Treatment Score Analyzer™, is go down into the deep dark cave, wire the entire cave with electricity, and turn the lights on forever. Still not convinced that there is a treatment transparency problem? Take a look at this article, “The Use of Superlatives in Cancer Research” that explains how treatments are so misreported. Recently, when I was talking to a physician colleague, she brought up the fact that often her rehabilitation patients didn’t know whether the chemotherapy they were on was curative or palliative. The patients didn’t know whether their treating physician was trying to cure them or simply trying to reduce their symptoms while they die. That’s a huge misunderstanding. Every cancer patient should know if their chemotherapy has a 0% chance of curing them, a 1% chance of curing them, or a 90% chance. Too often, no one has any idea of the Treatment Score, or the time period. We need personalized medicine. You need to know the Treatment Score for chemotherapy for acute lymphocytic leukemia. You also need to know the personalized Treatment Score for a 52-year-old female with acute lymphocytic leukemia versus the Treatment Score for a 75-year-old male smoker with acute lymphocytic leukemia. The Treatment Score Analyzer™ allows for personalization of the diagnosis, and personalization of the treatment options. First do no harm. Those are powerful words and they are a medical principle that is taught around the world. Patients often must take risks to try and get healthier. But they need to understand those risks. They need Treatment Scores and the Treatment Score Calculator™. Many operations and medications are dangerous. Patients, for their own safety, must be better informed than they are today. We all know people who went for treatment and ended up worse off than before their treatment. There is an interesting quality assurance problem that few people know about, but that we want to solve with Treatment Scores. When family medicine physicians, internal medicine physicians, and emergency physicians, have Journal club or grand Rounds they often invite in other medical specialists. When general practice physicians meet to discuss a neurosurgical case, they invite neurosurgeons to attend. When general practice physicians meet to discuss a gynecology case, they invite gynecologists to attend. So the general practice physicians have specialists looking over their shoulder. But who looks over the shoulder of the specialist? With Treatment Scores, every specialty of medicine will be able to look over the shoulder of every other specialty of medicine, see their thinking, and see if they are being logical, unbiased, and if they are truly doing evidence-based medicine. This improvement in quality assurance will prevent disasters from happening. Remember the frontal lobotomy? Remember the epidemic of unnecessary hysterectomies? Remember the epidemic of unnecessary knee surgeries? Remember, when doctors were giving patients antiarrhythmic medications and then found out they were killing patients instead of helping them? All of these things were preventable with better transparency such as Treatment Scores. Physicians want to do the best for their patients that is possible. But they have never had the proper collaboration tools before. The most important continuing medical education for physicians is figuring out which treatments have the best evidence-based medicine behind them. Currently, physicians rely mostly on “authority bias” to get their information, means that some physicians tell all the rest of the physicians what to do. The Treatment Score Analyzer™ allows physicians to go directly to the source of the data and to process the data themselves. Coming up with Treatment Scores is the continuing medical education that all physicians need to be doing on a near daily basis. The Treatment Score Analyzer™ provides a virtual filing cabinet of clinical statistics for physicians. Physicians often read a paper, mark it up, and throw it in a filing cabinet. Then, five years later they can’t find those statistics. 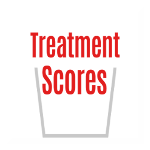 The Treatment Score Analyzer™ solves that problem. The time from invention of a new medical treatment to it being adopted throughout the medical system takes about 10 to 15 years. In fact, not so long ago, studies said that it took 17 years. Treatment Scores, because of the simple front end design, will bring treatment transparency down to the smart phone, which is the computer that everyone in the world now uses. Treatment Scores will disrupt healthcare just like Uber, Walmart and Amazon.com have disrupted their industries with organization and quantification. If you love Journal club, love reading medical articles, and knowing important statistics, by all means get in touch with us and we will teach you how to use our tools. E. A. Balas, “Information Systems Can Prevent Errors and Improve Quality,” J. Am. Med. Inform. Assoc., vol. 8, no. 4, pp. 398-399, 2001, PMID: 11418547. A. C. Greiner and Elisa Knebel, Eds., Health Professions Education: A Bridge to Quality. Washington, D.C.: National Academies Press, 2003. Trisha Greenhalgh, et al. “Evidence based medicine: a movement in crisis?” BMJ 2014;348:g3725, June, 13, 2014. Back pain is a leading cause of chronic pain in the United States. There are many reasons that people have low back pain, but there are not many effective treatments out there. Part of the reason for this is that the scientific community does not understand the mechanism of low back pain. Another reason is that there are some types of pain, such as diskogenic pain, that does not have any current good treatments. 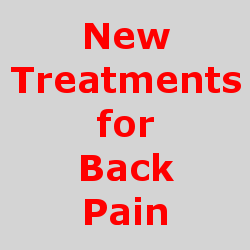 There is presently lots of research being done on new, innovative therapies for the treatment of low back pain. One such treatment, platelet-rich plasma (PRP) is currently being studied. In this, physicians draw your own blood and centrifuge out the platelets. They then take your own platelets and inject them into the areas of pain. One such study that was performed recently evaluated the effectiveness of PRP injections directly into the vertebral disks, for the treatment of diskogenic low back pain. The patients were evaluated at 8 weeks, 6 months and 1 year following treatment. The results are promising and showed improvement in both patient function and perceived level of pain post injection. Despite knowing this information, the study, itself, needs to be rated. How do we know that the study done on the patients was actually a good study? Well, as you can see below, via the Star™ block, that this study gets an overall "B" rating. Even though this was a double blind, randomized control study, this study's rating declines due to the limited number of patients and the short follow up time period. Former NFL football player Chad Johnson (Ochocinco) treated his ankle sprains with urine. He would actually get donations of urine from other NFL players. Chad revealed this treatment on the ESPN television show Mike & Mike. Is soaking your sprained ankle in urine a valid treatment? What does the medical literature say? Chad Johnson, by the way, was a wide receiver in the National Football League. He played for the Cincinnati Bengals and the New England Patriots. He was an outstanding player and made the Pro Bowl many times. When he wore number 85, he acquired the nickname Ochocinco, and legally changed his name to Chad Ochocinco before eventually changing it back to Chad Johnson. I have come up with a list of treatments for a sprained ankle by researching the medical literature. I will study the treatment benefit for all of these treatments using our new technology called the Treatment Score Analyzer™, and will produce Treatment Scores. Let’s begin with the Chad Johnson method of soaking a sprained ankle in warm urine collected from other people. I went to Medline and searched every combination of “sprained ankle,” “ankle sprain,” “ankle swelling,” and “urine” that I could imagine. How many clinical studies did I find for this urine treatment? Zilch, nada, none. This means that “warm urine baths” for treating a sprained ankle has a Treatment Score of zero, or even more accurately “no data,” because there are no studies. Is there any reason to think that soaking your sprained ankle in urine would be beneficial? Is there something in urine that might be absorbed through the skin that would be beneficial to a sprained ankle? Does urine, because it can be hypertonic, pull something out of a swollen ankle that might be beneficial? I could find nothing. It’s a hypothesis with basically no clinical evidence to support it at this time. The way medical science works is that you do a case report, do better studies, and eventually do a randomized controlled trial to remove all biases and get at the most objective truth possible. If Chad Johnson believes treating a sprained ankle by soaking it in warm urine works, he should help see that a proper study gets done. Who knows what a study would show? That’s why we do studies. The bottom line is that the Treatment Score = 0 for treating a sprained ankle by soaking it in warm urine. 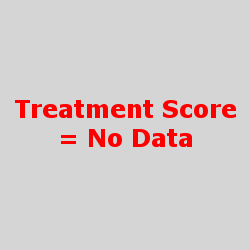 Or, perhaps more accurately the Treatment Score = no data, because no clinical studies have been done. The future of medicine has arrived. It is no longer good enough to talk about treatments without quantification with Treatment Scores. Our website tools are at TreatmentScores.com. Our blog is here at TreatmentScoresBlog.com. If you are a health writer, or health blogger, who wants to write evidence-based medicine articles with quantification, please contact Dr.Hennenfent [(at)] Gmail.com. Be sure to read the disclaimers below. Recently, an editor at the New England Journal of Medicine, Dr. Marcia Angell, stated, “It is simply no longer possible to believe much of the clinical research that is published, or to rely on the judgment of trusted physicians or authoritative medical guidelines." After 2 decades working for this highly acclaimed journal, Dr. Angell came to the conclusion that it is virtually impossible to recognized true, unbiased evidence based medicine, from research that has been influenced by money and outside motivations for publishing certain medical information. This makes it difficult for physicians to practice unbiased medical care, as most physicians keep up with their modern medical knowledge via new journal articles that have been published in their respective fields. At TreatmentScores.com, the physicians and staff aim to quantify medical facts into one website of unbiased, evidence based information. Recently, I have been researching the up and coming field of regenerative medicine. As seen in the STAR™ Blocks below, osteoarthritis is being treated with PRP, exercise and adipose derived stem cells. From the statistic above, we can see that exercise, PRP and stem cells all significantly improve the patient's pain, function, and quality of life. 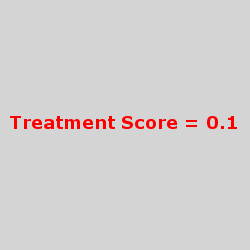 However, using the Treatment Score Calculator™, the total score for the study, as seen below, only rates the overall study at a 50. This is because we must take into account, not only the study's outcome, but also how the study was performed, the number of patients in the study, and the overall relevance of the study to the actual outcome of the study. Keep following us at the websites below for updates on the Net Treatment Benefit for a multitude of old and new treatments for osteoarthritis.